What’s the first thing you see when you receive a piece of mail? Obviously, it’s the envelope. Strangely, some non-profits give little thought to the envelope in which they will send their sales copy. For all the importance given to first impressions when it comes to so many other fields, comparatively little effort goes into to the first impression that their direct mail pieces will elicit. Consider a potential customer who is just collecting his mail after a long day when he sees with several different envelopes; he’ll likely be itching for a reason to simply throw them away and get a jump on de-cluttering. The job of the graphic designer is to blow those reasons out of the water and entice him to open the envelope and see what is inside. Remember -- you never get a second chance to make a first impression. What Should an Envelope Do? It needs to grab attention. Remember, your piece is vying for the attention of your targeted audience with all kinds of other mail, some of which they may have been looking forward to. They are going to open Grandma’s birthday card but a piece of sales copy may not be so lucky. It needs to entice the recipient to open it. Whether through the messages on the exterior or the visuals decorating the envelope, something about it needs to make the person want to see inside. For a non-profit environmental company, for instance, you might consider superimposing a forest on their envelope. In any case, do a little research into what reaction the non-profit is looking to get out of their donor base, and go from there. What Kinds of Envelope Designs Should I Use? Unique designs. A unique design will accomplish both tasks, which are to stand out and make people want to see what’s on the inside. You have to be careful with a unique design, however; some audiences will prefer something humbler or more unassuming. You also don’t want to give a non-profit’s audience the idea they’re not using their budget wisely, so a unique design on premium paper may be the wrong impression. Give due consideration to these points before you go for the unique design. Official looking designs. These envelopes often look like they’re coming from a government office or a bill collector, so if you think your audience may appreciate a less showy envelope, this could be the way to go. You can also use a little psychology to increase the open rate; in the window of the envelope, you can make sure something that looks like a check is showing. If the recipient thinks they are getting money, they may be more likely to open. Be careful, though, as this can backfire with some groups. Special offers. If you include the promise of some special offer inside, you’ve found a straightforward way to influence people to open your envelope. It could be a free offer or maybe a giveaway, as well as a promise of corporate sponsorships or dollar savings. However, especially with a non-profit donor audience, there are groups who will consider special offers to be in bad taste. Yet again, it’s important to research your target group. Mysterious designs. Few people can resist a good mystery, and nothing says mysterious quite like a blank, white envelope. Most people won’t throw away a plain, white envelope without first confirming its contents, and that’s what you’re banking on. Where an envelope with messages all over it might have failed, a coy envelope can succeed. Once again, it all comes down to knowing your audience. 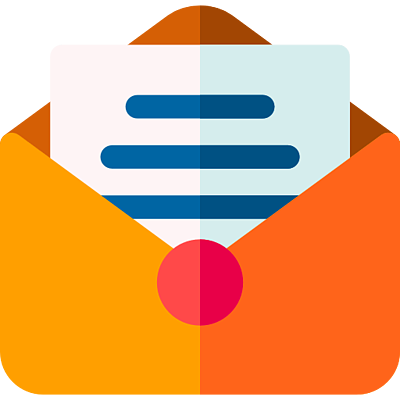 Your direct mail campaign can achieve more. Direct mail has made an impressive rebound – especially with new technology from BoingoLink to integrate it with other marketing channels – and your ability to choose the right envelope can get the campaign off on the right foot. Sell yourself as a graphic designer by impressing them with your attention to every detail, especially the appearance of their envelopes. Remember, if consumers don’t open it, they won’t know what they’re missing. It’s your job as a graphic designer to make sure they don’t take that chance.